The opening words express high hopes: “A glorious awakening popular will stands in a great world darkness” (p. 109). Heidegger outlines plans for reforming the university system. 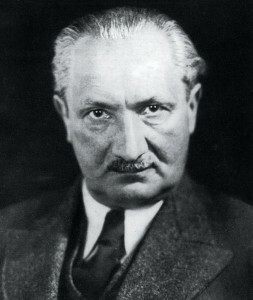 But he had far greater ambitions than that, namely, to put National Socialism upon firm philosophical foundations, namely, his own philosophical foundations: ”The metaphysics of Dasein must according to its innermost structure deepen and broaden into a metapolitics ‘of’ the historical people” (p. 124). Heidegger records his frustrations with”vulgar National Socialism” (p. 142) — a mass movement based in biological racism. He analyzes such basic concepts as the “people” (Volk), “socialism,” “wholeness” (Ganzheit), and the masses. He remarks that “National Socialism is a barbaric principle” (p. 194) and that “National Socialism in its present form is scarcely a ‘Worldview,’ and if it persists in its present ‘form’ can never become one” (p. 196). Heidegger also records his frustration with the Rectorship, which eventually led to his resignation. On April 28, 1934, the day after his resignation was accepted, he writes “The end of the Rectorate . . . Long live mediocrity and clamor [Lärm]!” (p. 162). The final page is a confession of despair: “‘The Self-Assertion of the German University’ [the title of Heidegger's Rectoral Address] or — the small intermezzo in a great error” (p. 198). He foresees the complete absorption of the university by technical-instrumental modernity — and, by implication, the absorption of National Socialism itself, betraying its potential to offer a real alternative. Judging from the first volume, the Black Notebooks are where Heidegger initially drafted many of the ideas that characterize his later thinking. And, as with his lecture courses, they are expressed with great clarity and directness, poles apart from the contrived obscurity of many of the works he published in his lifetime, as well as posthumous works like Contributions to Philosophy, all of which read, as Flannery O’Connor put it, “like some evil incantation in gibberish” (“Good Country People”).